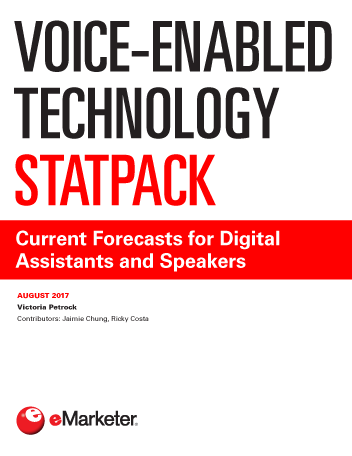 Estimates and forecasts for voice-enabled digital assistant users, voice-enabled speaker users and voice-enabled speaker households. Voice-enabled digital assistant use, by age. Consumer attitudes, as well as the most popular uses for voice assistants and voice-enabled speakers. Obstacles to virtual assistant and speaker adoption. "The StatPack can be viewed through the embeddedor by downloading the attachedfile or."